Startup mega-unicorn Airbnb, currently valued at $24 billion, has disrupted the way people travel. 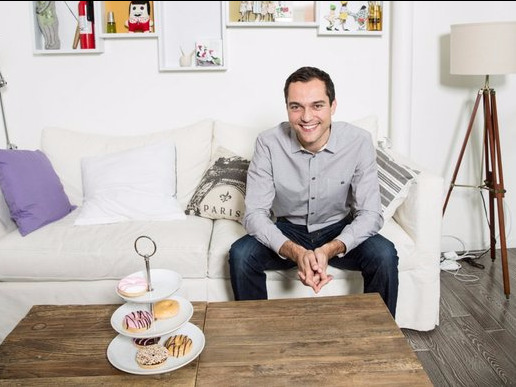 We’re excited to announce that Airbnb’s cofounder and CTO Nathan Blecharczyk will be speaking at IGNITION: The Future of Digital. Blecharczyk keeps Airbnb’s infrastructure running smoothly on a global level–the company is in 191 of the 194 countries in the world. That global footprint makes for a host of possible snafus that Blecharczyk and his team have to handle, from making sure hosts get paid to ensuring safety of users and following government regulations. Incredibly, Blecharczyk is not just one of the founders; he’s also a client. Even though he is reportedly worth $3.3 billion, Blecharczyk still enjoys hosting Airbnb guests, though they rarely realise who their hardworking host is. That’s one of the things that makes Airbnb and other “sharing economy” businesses like Uber so popular and profitable: the ability to be your own boss. Joining Blecharczyk at IGNITION are WeWork‘s Miguel McKelvey and Adam Neumann, Adobe‘s Ann Lewnes, and Cisco‘s Chuck Robbins. Pick up your ticket today to hear how the digital landscape is changing. Extra-early-bird ticket prices expire this Friday — and will save you $1,500.